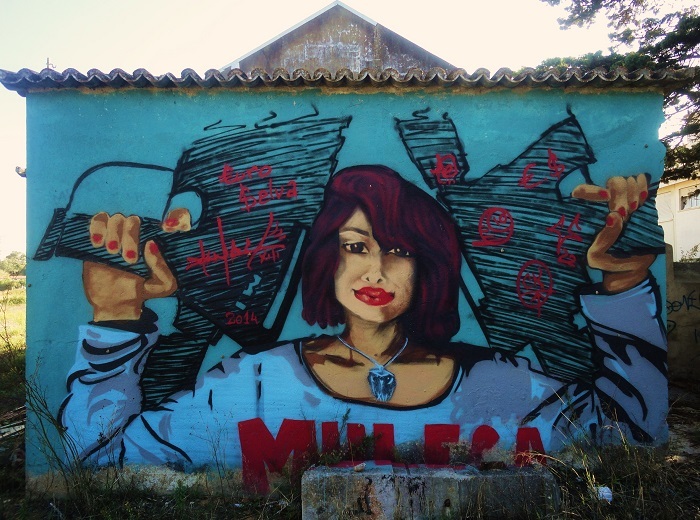 Lisbon and the Sunny Coast: "Muleca"
In Brazil "muleca" means naughty girl and I think it might fit her well. Great mural.Have a good day Diane. She does look cheeky and with two huge guns!! I think this girl has a little lip job done! I like the mural a lot. She looks to be awfully friendly for someone with automatic weapons. Nice shot. I wonder if these are really guns she's holding. She certainly doesn't look like an angel José :) Super find!